February is crunch time when it comes to preparations for your fruit and vegetable garden. The time has come to get your plot ready for sowing seeds in the perfect environment to start your crops off strong. Before you start sowing any seeds, it’s important to prepare the soil for your vegetable patch. A lot of success when it comes to growing your own fruits and vegetables is making sure your plants are growing in the best environment and since seeds start underground, well-prepared soil is a good place to start. 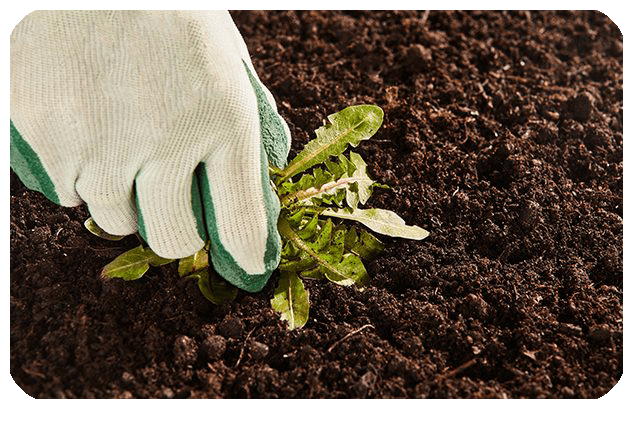 Prepare your veg patches by removing any weeds left in the soil that have grown over winter. 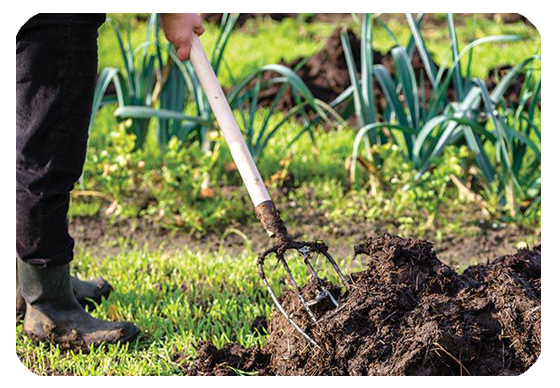 Dig over and turn the soil to aerate it, adding compost into the mix to feed and improve the soil fertility. Other things to consider when preparing soil is soil acidity, alkalinity and structure. Some crops such as blueberry bushes need more acidic soil to grow and thrive, while others prefer alkaline soil. Soil structure (e.g. clay, loam or sandy soil) is also important as this may affect a plant’s access to nutrients, for example, a shallow-rooted plant such as spring onions shouldn’t be grown in a clay-like soil, where the roots would struggle to grow and access vital nutrients. Always check the best soil conditions to grow your crops of choice. Some gardeners are probably debating whether it’s a good idea to get started in the garden this month with the potential for unfavourable weather. We think there’s no harm in trying your luck with some early seedlings now and sowing the rest of your seeds when you’re more confident. Broad beans are ideally sown directly outdoors in their growing positions, however, if it’s still very cold where you are, we suggest you sow them indoors if you have large enough containers. Leeks and onions are safe to sow when temperatures are averaging around 10 degrees or above when sowing early. Get a head start and germinate your tomato seeds this month by sowing indoors with a heated propagator. February is a great time to sow sprouting broccoli, keeping the seeds in deep modules and will be ready for planting out when sprint hits. Sow fast-growing spinach varieties now and your first early crop will be ready for you by April or May. If you’re growing over-wintering crops such as cauliflowers or broad beans, make sure you keep them protected against the cold and frosty winter weather. If you’ve invested time and effort into over-wintering crops it would be a shame to lose them to cold weather damage. February is typically when the worst of the winter weather hits. We can’t stress how crucial it is that you wrap your plants up in their own winter garden fleece. If you’re sowing anything outdoors this month, use cloches or frost blankets to protect your seedlings and young plants. For even better protection, treat them with a cold weather fertiliser like early starter that will improve their resilience and help them thrive against the bad weather. Even if you’re not currently growing crops, it’s a good idea to cover your vegetable patch and/or raised with a frost blanket to protect the ground from the frost and snow. If not, your soil will take longer to warm up and won’t quite be ready for seed sowing. Which means you risk delaying your gardening season.